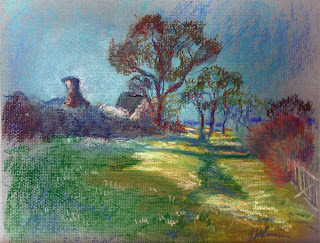 This pastel painting was made without preliminary drawing, using SimmTrace™. I have made a video, which I will post when edited. What I have found is that you can easily, and confidently, build up the painting in layers. I have used pastels, and pastel pencils in this.